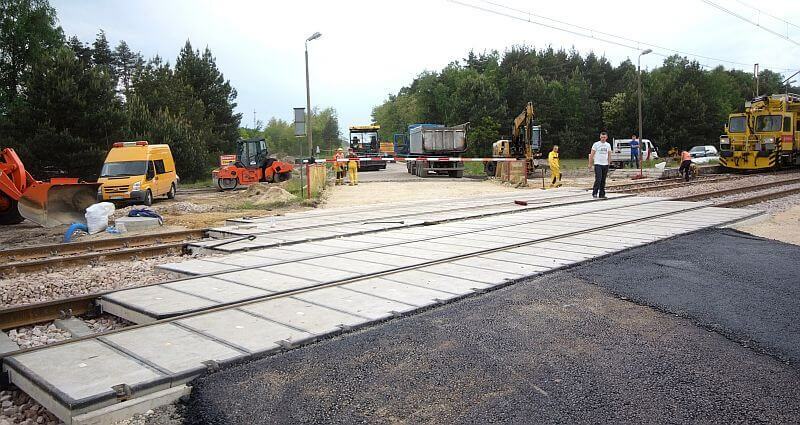 We provide services related to the construction of tramway railway infrastructure and auxiliary facilities. We undertake comprehensive workmanship - from design, obtaining permits and submitting works to receiving certificates and approving relevant bodies. Prowadzimy działalność usługową związaną z budową infrastruktury kolejowej tramwajowej i obiektów pomocniczych. 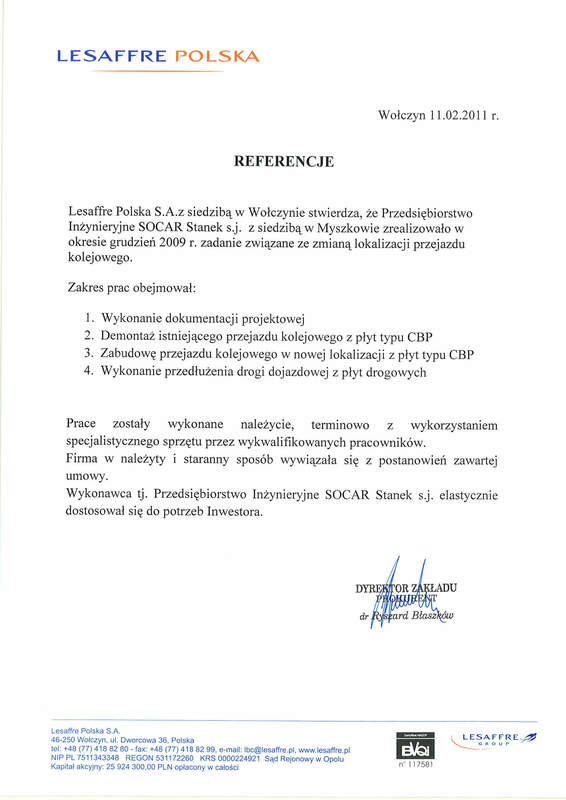 Podejmujemy się kompleksowego wykonawstwa prac - od projektu, uzyskania zezwoleń i zgłoszenia prac po otrzymanie certyfikatów i akceptacji odpowiednich organów. 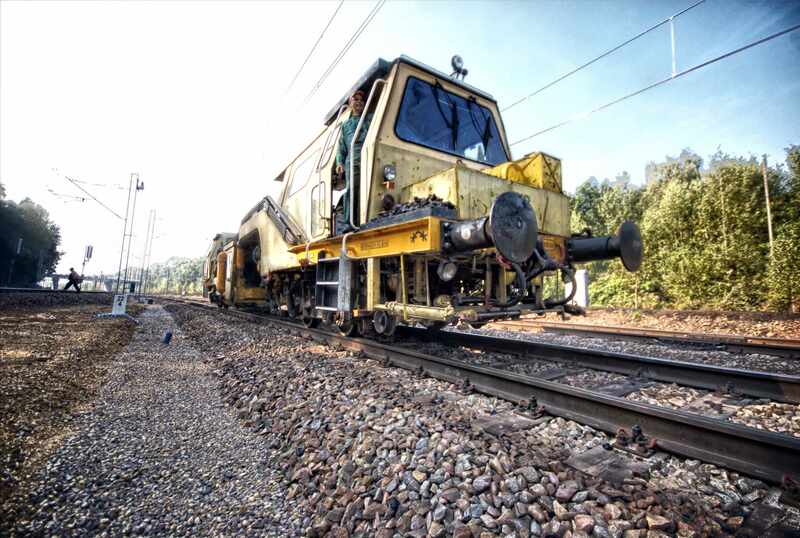 Development of construction projects, executive designs, temporary journeys, expert reports and technical documentation in the field of railway infrastructure. Development of the status of the railway network, safety certificate, regulations and instructions for railway sidings. The development of crossing-over records along with the measurements of visibility triangles and movement product. Preparation of investor, offer, executive and as-built cost estimates. Comprehensive regeneration of railway turnouts with an innovative stand method characterized by high quality of workmanship and nominal geometry. 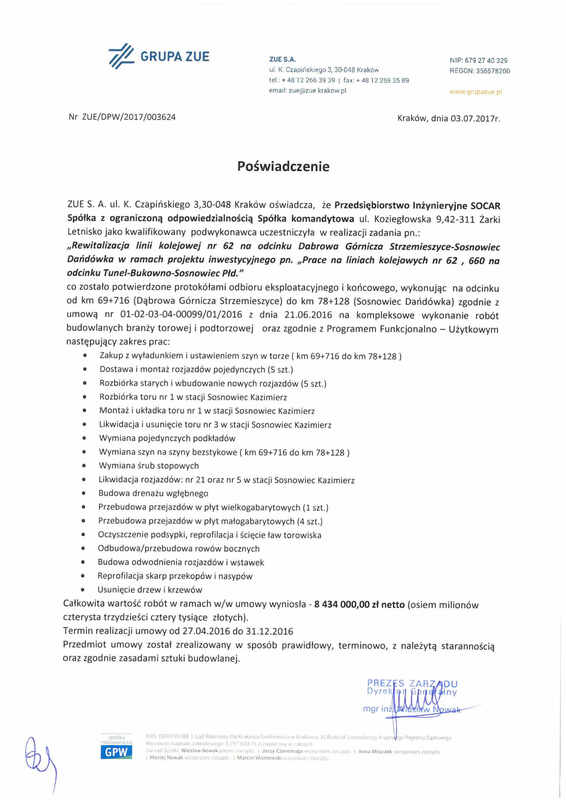 We have the first certificate of admission to operation of the type of buildings for railway crossing Rz49E1 (S49) -190-1: 9 regenerated in Poland. From the beginning of our activity, we have been focusing on comprehensive repairs and investments in the field of railway, tram and associated infrastructure (eg railway ramps, transhipment fronts, railway crossings in various technologies, etc.). By undertaking cooperation with our company, we guarantee reliability, punctuality and high quality of services provided.